There’s a lot of misinformation in regards to online security using virtual private network, or “VPN” for short. I’ve received numerous emails over the years from people whose questions reveal a confusion or fundamental misunderstanding about online privacy and internet security. 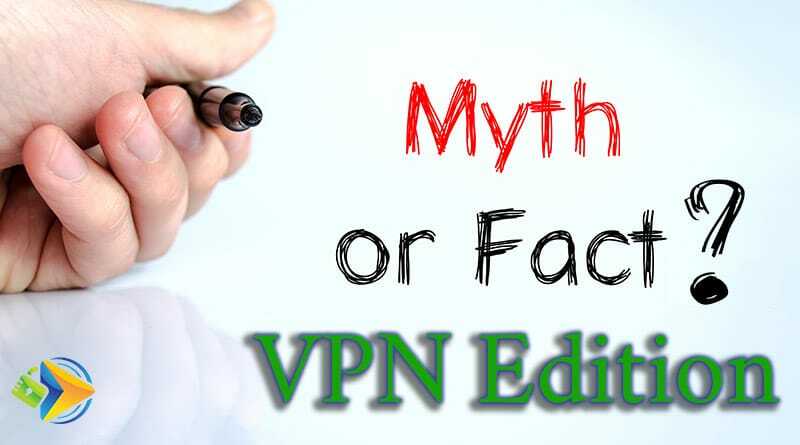 What is true and what are just VPN myths? Below, I’d like to share with you some of the most common VPN myths I hear. For anybody who isn’t well-acquainted with online privacy and security, the threat of hackers and identity thieves seem distant (that is, until you actually get hacked). It’s the stuff that only happens in the news and in the movies, right? Yet it’s these feelings of detachment and misconceptions about solutions such as VPNs that keep most people from protecting themselves the way they should. WATCH: How else can you easily protect yourself? Quit using those unbelievably easy (i.e. crappy) passwords. If you find yourself in a similar boat – encouraged to protect yourself online with a VPN but scared by stories you’ve heard or misgivings you have – you’ll probably find this list helpful. Below I’d like to share a few of the lies we’re led to believe and the reasoning behind what makes it a myth. Unless you’re living in a country that censors the internet (consider countries like China which actively block many international websites), it may seem like the use of a VPN is overkill. “Only conspiracy theorists and privacy nuts use VPNs!” you might say to yourself. Consider this: in 2017, identity fraud hit an all-time high with 16.7 million victims totaling $16.8 billion in losses. Chances are, you personally know somebody who has been the victim of identity fraud if not yourself. 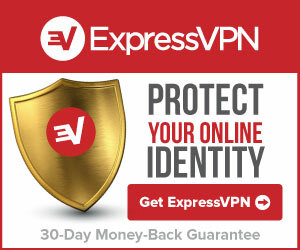 Although there are many steps that you can take to secure your privacy and identity online, downloading and installing a VPN service like ExpressVPN is the most inexpensive and easy first line of defense. 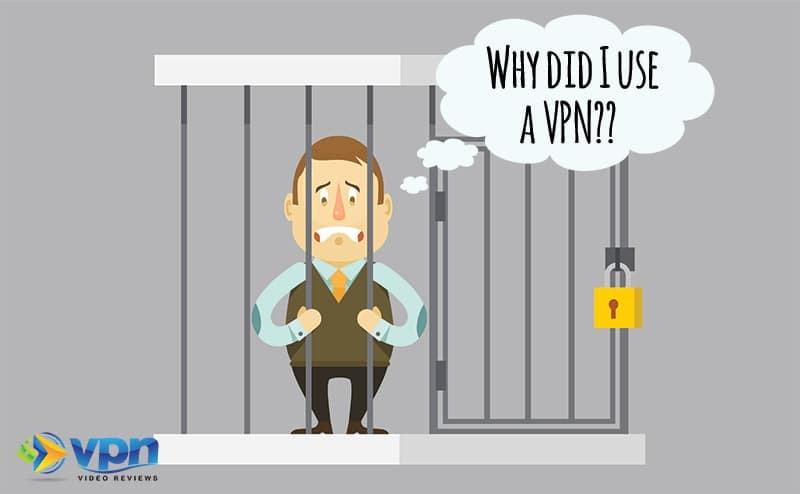 VPN Myth #2: VPNs are Illegal to Use…Right?? Poor guy is paying the price for using a VPN…or so he thinks. What most people don’t understand is that although VPNs are sometimes used by shady characters to do illegal things, the use of a VPN by itself is not illegal! The truth is that VPNs were first developed for businesses to allow them to transfer sensitive data securely – and it’s a technology that they still employ today. Personal VPNs have only recently gained in popularity, but corporate VPNs have been used by small and large companies for decades. Any product or technology can be used for legal or illegal purposes. As long as you’re using a VPN for legal activities, you’re perfectly safe. VPN Myth #3: VPNs Provide COMPLETE Anonymity! Now a quick note to those of you who might be considering buying a VPN so that they can download illegal torrents or commit any type of fraud: there is no VPN that provides complete anonymity. Even when protecting yourself with a VPN kill switch, it’s impossible to guarantee completely protection. I don’t care how good the marketing is. I don’t care if you route your connection through multiple VPN servers in different countries. I don’t care if the VPN company itself is based in a different country not subject to the reach of your country’s judicial system. 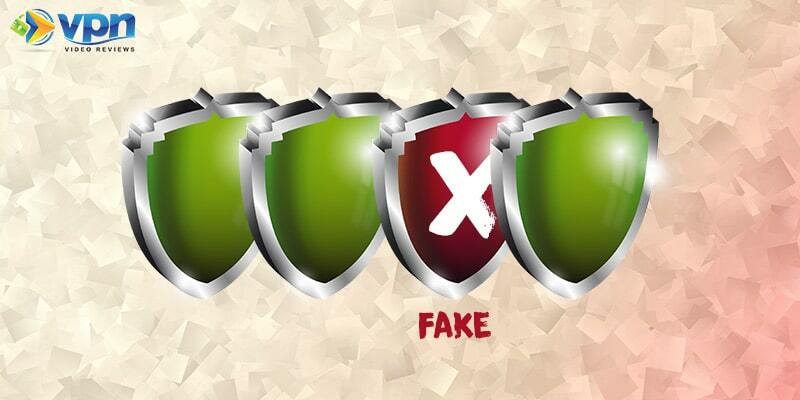 If you think something as simple as some VPN software is going to give you all the protection you need, you’re WRONG. A VPN isn’t a “get-out-of-jail-free” card for illegal online activity. Use it for these purposes at your own risk! Your IP address: This is the address that your computer is given as it surfs the internet. Your Browsing History: Many websites leave “cookies” on your computer that can report back what other websites you’ve been visiting. Yikes! Internet Connection Logs: This refers to how, where and when you connect to the internet. What device are you using? How long did you stay connected? Most VPN services will advertise their service as “no logs”, “zero logs” or “logless”. They’re trying to sell you on the fact that while using their servers, they aren’t recording anything that you’re doing. 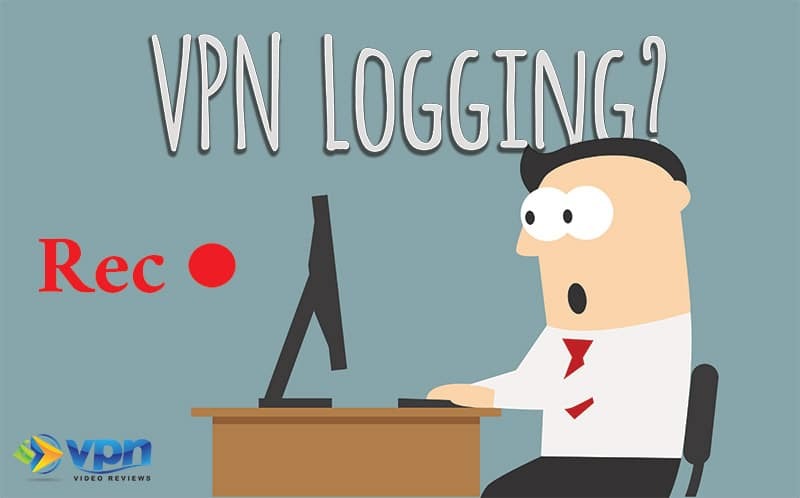 LISTEN UP, because here’s the TRUTH: when it comes to VPN logs, it’s not a matter of if a VPN service logs your information. It’s a matter of what the service logs and how long they keep those logs. Most VPN services are lying to you about logging. Thankfully, if you take the time to read through their Terms of Service, you’ll get a better understanding of what they keep and (hopefully) why they log it. I’ve written previously about the differences between free VPNs vs paid VPNs. Still, it’s worth repeating the danger: you completely negate the value of a VPN when you use a free one. A VPN is meant to provide you with privacy, anonymity and security. These services cost money to develop and maintain. Selling Your Information: Many free VPNs admit to selling the information of their users to advertisers. Showing Ads: Again, this allows advertisers access to some of your information. The Freemium Model: This is where a company might offer you a limited free version of their service in an effort to convince you to buy the full product. In some cases, this is good. Many times, though, these lesser products don’t provide any sort of security and you’re always being bombarded by marketing messages telling you to upgrade. If a VPN is free, there’s probably a good reason. Unfortunately, that reason has never been “Because we, the developer, want to donate the best product possible for the security of humankind”. Nope. That just doesn’t happen. When I first started working with VPN companies, I was under the impression that all VPNs are pretty much the same. I mean, honestly there’s not much that seems to differentiate these services at first glance. They all offer hundreds of servers. They all boasts “military-grade encryption!”. They’re all approximately the same price. User Experience: Not every VPN is easy to install. Likewise, not every VPN software has a user-friendly interface. The good companies do it well. The bad ones…well, they don’t. Customer Service: It’s simple to put a VPN software on the market but much more challenging to provide the appropriate backend customer service. The good VPNs invest in customer support. I’ve dealt with plenty of bad customer service reps in the VPN industry and they quickly turn me off from using their service. Simultaneous Connections: If you’ll be using a VPN on multiple devices or as a family, you’re going to want to pay attention to the “simultaneous connections” feature. This refers to the number of devices that can be connected to the VPN server at a single time. 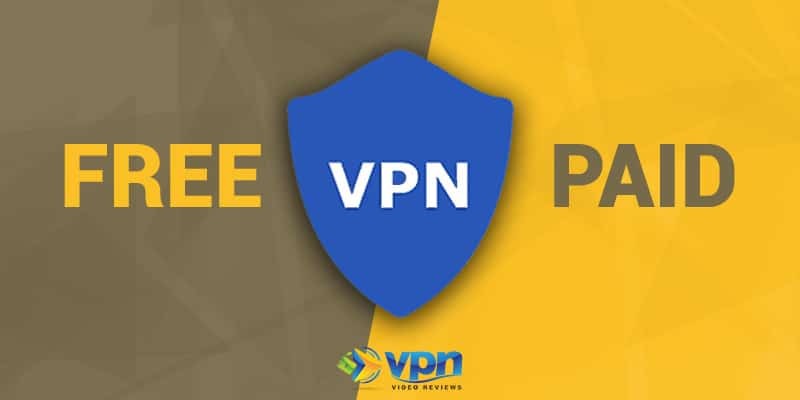 Many VPNs offer 1-2 connections before you have to pay for a new account. Other services offer more, such as ExpressVPN (3 simultaneous connections) or NordVPN (6 simultaneous connections). Connection Protocols: Many people don’t realize that there are varying levels of encryption. Higher encryption results in slower speeds. Lower encryption allows for faster speeds. Some VPN services only offer a single connection protocol, whereas the good VPN services give you a selection of connection protocols. Oh boy. This is a big one. And it’s hard to write about it when I’m sure people would accuse me of the same. 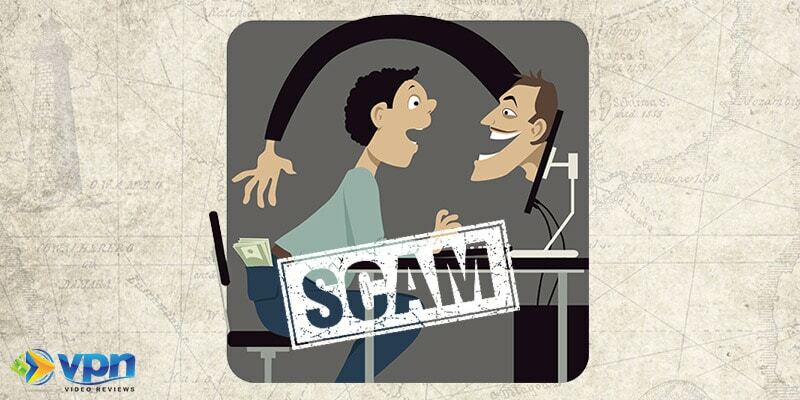 The truth is that VPN services offer excellent commissions to people who refer new customers. I earn income from these commissions and 99.9% of the websites you see with reviews of VPN services do the same. The problem here is that we have a financial incentive to tell you to go and buy this VPN service or that VPN service. This bias automatically taints our “real and honest” reviews. That’s not to say that I don’t stand behind my recommendations for the best VPN on the market – I do! I use these VPNs every day on my computer, iPad and phone, so I feel qualified to share my experience. However, there’s a lot of money to be made in the VPN industry and that attracts some shady players. 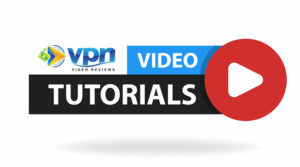 I’ve known VPN companies to start their own “VPN review” websites and just name their VPN as the best VPN on the market. 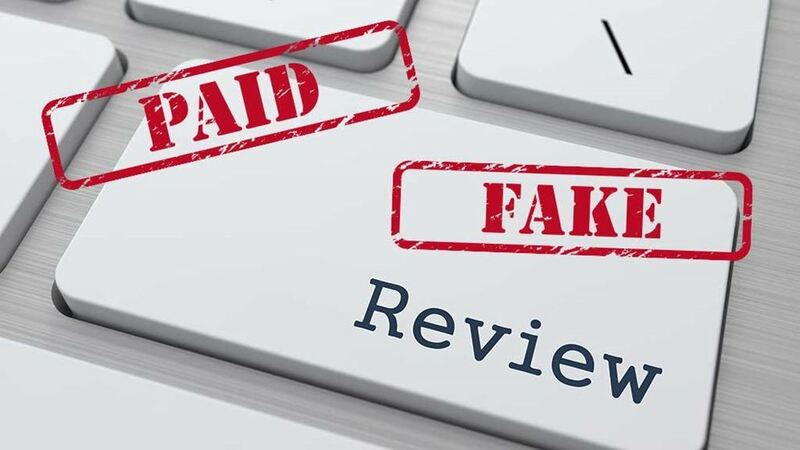 FAIR WARNING: Be wary and critical of any VPN reviews you read online. Test them for yourself and never buy a VPN that doesn’t offer a money-back guarantee for at least 14 days or more. I can guarantee you this is no myth. Every single week I read a new report in the news about a major hack, identity theft or online privacy breach. Personal security on the internet is becoming more important every single day. 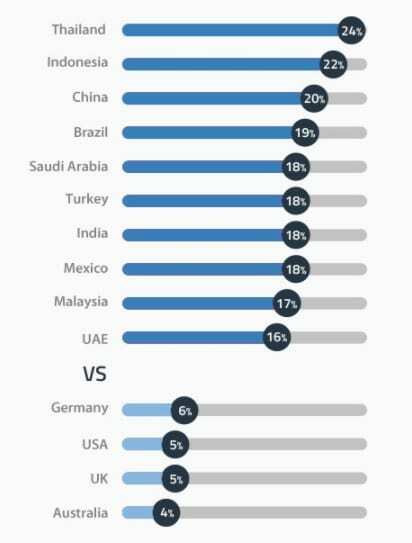 VPN usage around the world has risen by double digits each year. For populations all over the world, this often has to do with internet censorship or “big brother” monitoring. We in the “west” have been very slow to catch on to the fact that we should be worried about these same monitoring trends. VPN usage is huge and it’s just going to get bigger. As you consider signing up for a VPN, it’s good to think through all these different myths and misconceptions. We’re often afraid to act on what we don’t completely understand, so hopefully this list has armed you with all the information you need. As I’ve said earlier, my favorite VPN is ExpressVPN, but there are plenty of other good ones out there. The important thing is that you do everything you can to protect yourself online.